Do you zoodle? Last night was my first time and it won't be my last. On Sundays, I love whipping up a treat meal. However, this time it was a little different. I put a twist on an American classic, lasagna. Yup, I replaced the noodles with zoodles [aka, zucchini noodles]! Not wanting to be a slave to the kitchen I tested out Ragu Homestyle pasta sauce. gasp, I know I used pasta sauce out of a jar. People I have to tell you it was the best idea EVER! It totally brought back childhood memories. While it's loaded with cheese, the dish is still a healthier version of the traditional lasagna. Plus, it only took about 30 minutes to cook/prepare. Prepare the zucchini noodles: Spiralize zucchini using the ribbon blade or a vegetable peeler; set aside. Pat dry with a paper towel. Heat the olive oil in a large skillet over medium-high heat, add in the ground meat and cook until browned, about 3-4 minutes, making sure to crumble and break down into small pieces as it cooks; drain excess fat. Add mushrooms and saute for 4 minutes. Add Ragu, bring to a boil and reduce heat allowing to simmer. Stir constantly until sauce begins to thicken (about 5 minutes). Add the zucchini noodles and cover with lid. Remove cover and stir the zucchini around after 3 minutes to avoid sticking to the pan. Cook until zucchini is tender (around 3-5 minutes). Stir in spinach after 4 minutes and cover. Remove from heat and mix in mozzarella. Taste and adjust seasonings as needed. Top with dollops of ricotta cheese. Cover with pan and allow to sit for 2-3 minutes or until the cheese has melted. Remove from stove and sprinkle with parmesan cheese if desired. Don’t forget to visit the official Ragu webpage to learn more about the new line of Ragu Homestyle sauces and find a taste of home. Yum this looks so good! I've been wanting to try zucchini as a pasta substitute! I have a spiralizer but don't use it often enough. Your recipe looks so delicious, you've inspired me to break my spiralizer out of the box and give it a go again. OH wow, This looks amazing. I need to break out my spiralizer...like as soon as I get home. Love this low carb option to lasagna - and I love lasagna. Love all of those zoodles! I bet this is really yummy. This looks like a great and healthy recipe, I can't wait to try it! I love the zucchini in it! Thank you for sharing! Great recipe and seems easy to make! We've never seen zucchini noodles like this before. Thanks for sharing, totally going to make this for a summer party! This looks delicious! 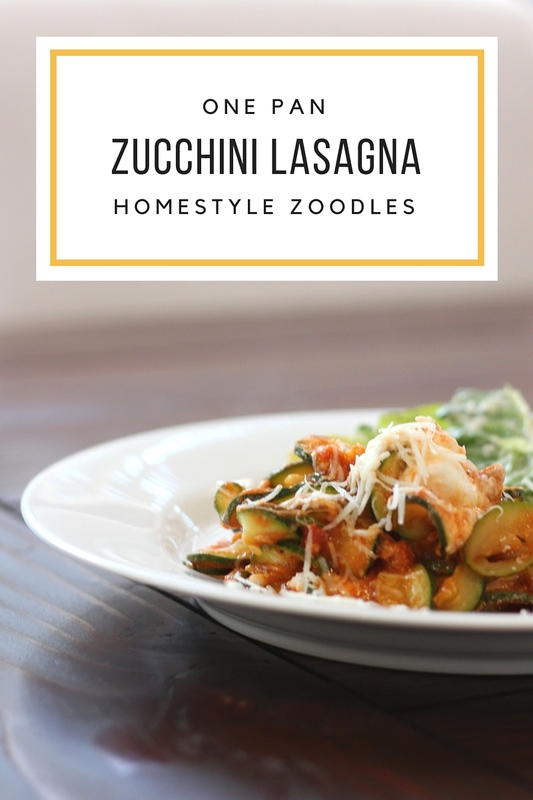 I love using zucchini instead of noodles!